Unlimited Environmental’s staff represents over 60 years of combined experience in environmental remediation in Southern California. Our Supervisors and workers are AHERA/DHS trained and certified, and have extensive first hand experience in all phases of Asbestos, Lead, Mold Abatement and Demolition. From the smallest residential problem up to and including high-rise projects, Unlimited’s proven, veteran, professional staff is here to assist the communities of California in solving their environmental problems in a clean, safe, timely and cost effective manner. Scott has over 25 years of experience in all aspects of commercial, industrial construction and environmental remediation projects. As the President of UEI, he prides himself on being involved in the day-to-day matters of UEI projects, staff, and the overall quality of services provided. Richard Jinkins is an accomplished Senior Executive and Consultant with more than 20 years of success in the construction, renewables & environment, real estate and property development, labor management, and outsourcing industries. His broad areas of expertise include construction, demolition, budgets, renovation, environmental remediation, process improvements, turnaround, contract negotiations, project planning, P&L management, value engineering, talent management, and labor force management. With Rick’s extensive experience in operational leadership, he provides significant guidance on revenue growth. Rick is responsible for the UEI sales team, helping drive UEI’s competitive edge for continued exponential company growth. 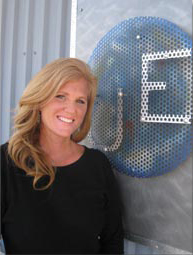 Jill is the Executive Vice President of UEI and has over 20 years of financial and management experience. She is responsible for ensuring that cost effective operations and infrastructure are in place to support all staff and departments. 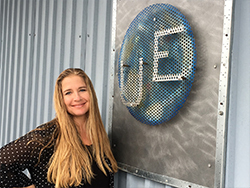 She ensures that UEI is well positioned in a rapidly evolving and competitive environment by being an agent for ongoing organizational change. In conjunction with the President, estimators and marketing department she identifies and leads new business development opportunities to ensure highly productive relationships and partnerships for the benefit of Unlimited Environmental. Emmanuel holds a B.S. in civil engineering and has been involved in the construction industry for over 4 years. Emmanuel is responsible for conducting detailed takeoffs and producing demolition bids. He works closely with the estimating team to produce quality bids. Robert has over 30 years of management and operational experience in industrial demolition and the environmental industry. As Vice President Business Development he uses his knowledge and years of networking to identify new opportunities and relationships for UEI. His experience includes supervising all aspects of large-scale demolition and abatement projects, vendor and subcontractor management, equipment sourcing, and contract review and negotiation. 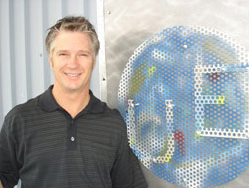 He is also skilled in leading large workforces, managing regulatory compliance, and wast characterization and disposal. Robert holds multiple industry certifications and also regularly participates in specialized training programs. Justin has 25 years of management and sales experience within the construction industry. He plans, directs and coordinates all of UEI’s operations. Justin is responsible for improving performance, productivity, efficiency and profitability through the implementation of effective methods and strategies. 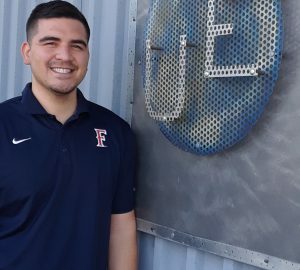 He ensures overall quality control for UEI and manages all field and warehouse operations for both the abatement and demolition divisions within UEI. Justin has a strong sense of determination and ensures quality control for all projects. Mark has been in the demolition and grading industry for well over 6 years as a project manager and estimator. Mark is well versed in multiple industry disciplines including demolition, grading, abatement, and more. He is highly skilled in construction management, budgeting, scheduling, safety oversight, scope development, and contract administration. He has a proven track record to ensure projects are executed according to approved time, cost estimates, safely and with quality workmanship. As UEI’s Financial Controller, Raj undertakes all aspects of financial management, including all corporate accounting, regulatory and financial reporting, budget and forecasts preparation, risk management, as well as development of internal control policies and procedures. Raj brings over 25 years of corporate financial construction experience to our team. He manages key operating metrics and business drivers that result in optimizing UEI’s financial performance, overall business growth, and profitability. Christina manages UEI’s payroll process and human resources. She ensures compliance with all applicable state and federal wage and hour laws, by maintaining current knowledge of all pertinent state and federal laws. Christina is well versed in public works projects. She maintains UEI’s human resources and helps to ensure all employees maximize their company benefits to the fullest. Shelly is responsible for overseeing all office functionality as well as coordinating each project’s schedule, notifications and air sample handling. Shelly ensures that UEI is compliant with all State, Federal and Local Laws on each project and works directly with our clients. She maintains all business licenses, job documents and insurance certifications. Shelly works with upper management and the UEI dispatcher to ensure all required documents are submitted on-site. In addition, Shelly is a California licensed Notary Public. Mike has over 30 years of knowledge and hands-on field experience in the construction industry. He works in tandem with the estimators and the rest of the UEI team to ensure the most exceptional quality control is upheld on UEI projects. Mike is very knowledgeable about the industry and has experience in many types of projects, including commercial and public works projects. He ensures the accuracy of the field and ensures a timely completion of any job. Rafael is responsible for scheduling, dispatching crews to projects and processing new employee applications. Rafael oversees all communications between warehouse, field staff and office. He also is responsible for monitoring field personnel and/or equipment locations and utilization in order to coordinate service and schedules UEI operations. Carlos is the lead coordinator for the warehouse staff and is responsible for dispatching equipment to projects, maintenance of company equipment and vehicles. He is the contact person between supervisors and project managers in order to address questions, problems and request for service or equipment.